If you have read most of my articles then you should know by now that one of my favorite things are random pairings that form instant chemistry. It's something I live for. Two guys with contrasting styles coming together to put together a dope team. I don't want to go on for too long though because the title is pretty self explanatory. I also wanted to avoid using teams I've already done before and I left off next week's team so I'll leave that up for you guys to guess who it is. I considered adding Edge and Rey Mysterio but their time together was too short. They lasted 4 months but were able to capture the WWE Tag Team Championship once and was apart of, in my opinion, the greatest tag team match of all time against Chris Benoit and Kurt Angle at No Mercy 2002. I also really wanted to go with Rock N' Sock but they don't really fit my theme of underrated tag teams. However, they are too legendary to forget about so they will make an appearance in the near future. -You're probably wondering how Edge and Benoit cracked the top 5 when they barely lasted a hot minute and hated each other. 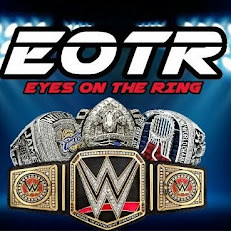 Well I don't have a good answer to that, but I did enjoy watching Chris Benoit hold 2 titles at once. They are more so one of my favorites based off the potential they had to run an angle that Chris Jericho and Christian had gone through as a team and even what Sheamus and Cesaro are doing now. They did become 2 time World Tag Team Champions and their break up did lead to a fire Last Man Standing Match at Backlash 2005, which turned into Edge's singles break out year. (I did a article on that year for Edge ICYMI). 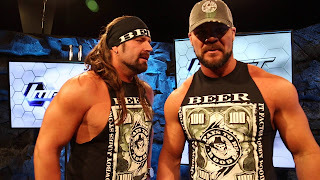 -After leaving two of TNA's best teams, James Storm and Bobby Roode, two complete opposites came together to form one of the greatest tag teams in the company's history. Whether as faces or heels, they excelled together on the mic and in the ring. Their battles with The Motor City Machine Guns were my favorite in their time together. We could have lived without the Immortal and Fortune sagas, but overall there was never a dull moment for this team. Their break up in 2011 also launched Bobby Roode into superstardom. -What do you get when you take two of the company's best heels and put them together? Instant fire. Austin Aries and Bobby Roode, just a month before coming together, were bitter enemies paying off the Aces & Eights to help them win the TNA World Heavyweight Championship. After pursuits of the title ultimately failed, they were randomly put together during TNA's UK Tour in 2013 where they defeated Chavo Guerrero and Hernandez to win the TNA World Tag Team Championship. They would put aside their differences (like all rivals do in tag teams) and hold onto the titles for 76 days engaging in some solid matches with Bad Influence, Gunner and James Storm, and Guerrero and Hernandez. They reunited in 2015 for an entertaining Best of 5 series against The Wolves but came up short. I seriously doubt that WWE would ever reunite these guys, but it would be an interesting dynamic to see how that would come together. -One of the more entertaining teams of the Ruthless Aggression Era, Billy and Chuck were more so remembered for their gimmick as two gay wrestlers. What I remember most is how well they worked as a cohesive unit and how it felt like they were Tag Team Champions forever because they would do anything to hold on to those belts. The storyline worked out perfectly and was able to make them one of the most popular teams at that time. -What's not to love about this team? Edge and Orton made it their mission to destroy DeGeneration X and they, inadvertently, accomplished that. My favorite moment from these guys was watching them beat Ric Flair to a bloody pulp just to piss off Shawn Michaels and Triple H. They were successful with a run as World Tag Team Champions and were the only team to defeat the reunited DX, which is a huge accomplishment in itself. As fun as it was, Orton and Edge were too great to be stuck in the tag team division thus leading to an unfortunate split when Edge moved to Smackdown. Don't forget Cesaro and Tyson Kidd. They didn't have anything to do, so wwe put them together. Two underrated wrestlers, and together, they made a great tag team.